David Zimmel, President and Co-founder of Zimmel Associates, leads an Edison, New Jersey, corporate real estate brokerage firm that handles more than 5 million sq. ft. of exclusive office, industrial and flex space. His career covers more than three decades dedicated to the real estate industry and the closing of more than 3,000 real estate transactions. One of the most successful commercial real estate brokers in New Jersey, David Zimmel is consistently named a Power Broker by Co-Star and an All-Star Broker by property owners. He is a past president of IOREBA, and has long-term working relationships with investors, developers, tenants and real estate industry professionals throughout New Jersey and the tri-state area. 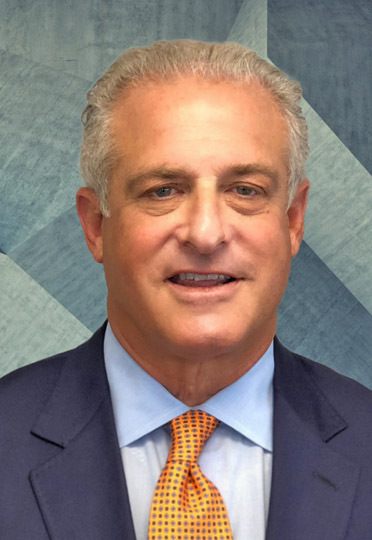 A native of New Jersey, David Zimmel began his real estate career in 1978 after graduating from Rider College with a degree in Political Science. He specialized in office, industrial and shopping center space for eight years before partnering with his father, Bernard Zimmel, at Zimmel Associates in the mid 1980’s. David is known for providing clients with a high level of service and prompt solutions that are supported by expertise gained from a wide array of complex deals. His knowledge and creativity add value to every transaction, as does his commitment to providing every advantage for his clients. “Every client large or small, deserves the best level of service we can provide, and that means not wasting their time, understanding their needs, and finding timely, fiscally sound solutions,” says David Zimmel. “When involved in a transaction, I am fully committed to understanding all issues and negotiating it to a successful conclusion with both parties. “Coming up with a formula that satisfies both parties, and getting to a point where the contracts are finalized, provides a professional gratification that never gets old,” he adds. Whether negotiating the sale of a 140,000 sq. ft. flex building in South Brunswick; the long-term lease of 90,000 sq. ft. of office space at Metro Park; or securing the ideal 5,000 sq. ft. for a small business, David Zimmel has the skills and resources necessary to bring deals to closure, time after time.